Tigger and Roo: They were city-dwellers, from Clapham, and they came here on a holiday visit a decade and more ago. They never went back. They claimed that, having learnt the ways of the country (from Maurice, hunter and dog-tamer extraordinaire), they would never again be safe in the City. And Somerset, being lax in immigration control, granted them extraordinary leave to remain. Which they did. They are no longer the young things that they were, but Tigger has a streak of kitten in her still. 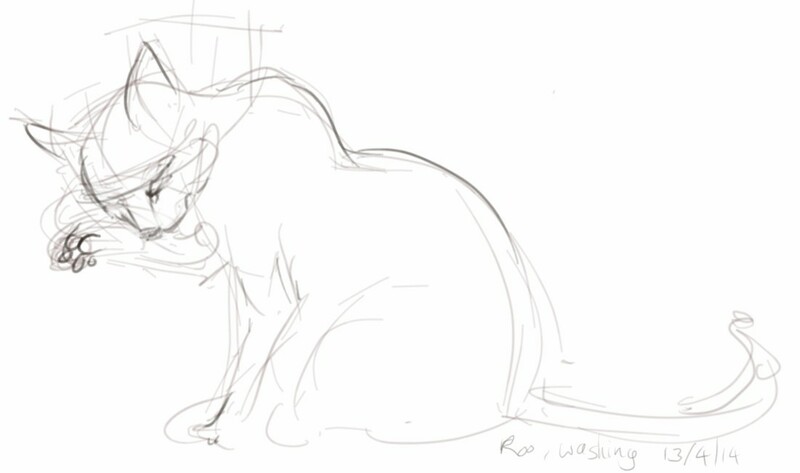 Roo, sadly, might already living out time that the vet said he did not have, but you’d never know it. 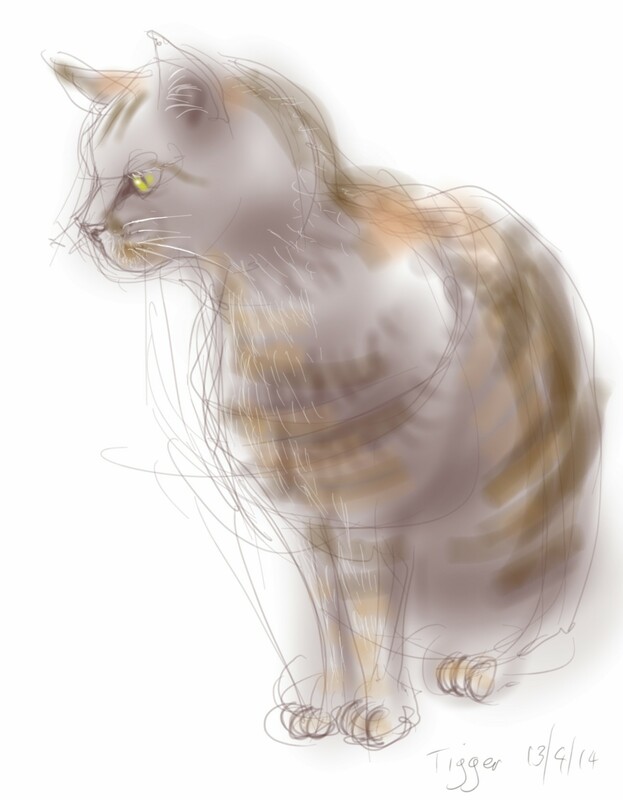 This entry was posted in Cats and tagged art, cat, cat washing, cat-of-the-day, digital sketch, drawing, illustration, life drawing, samsung galaxy note 3, tablet sketch on April 13, 2014 by Nancy Farmer.